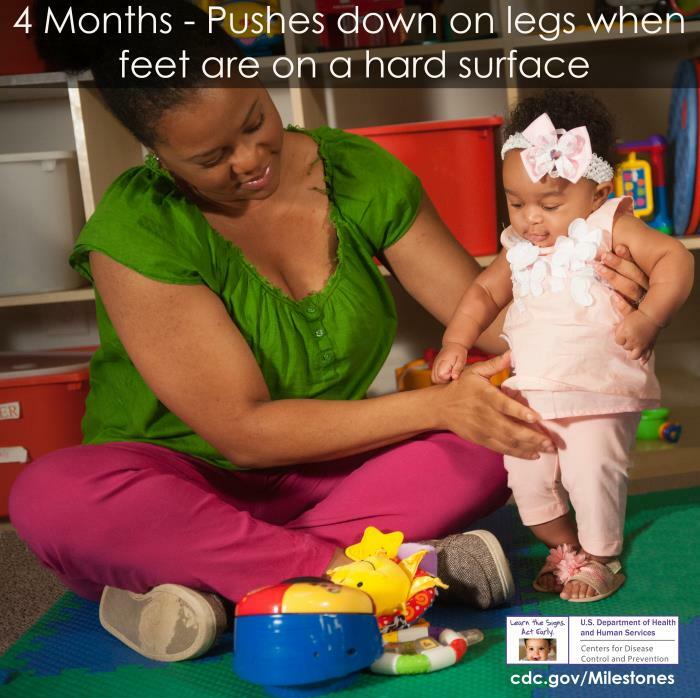 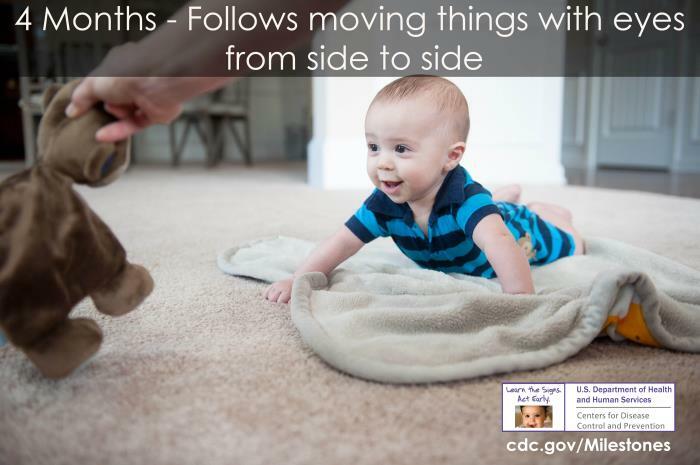 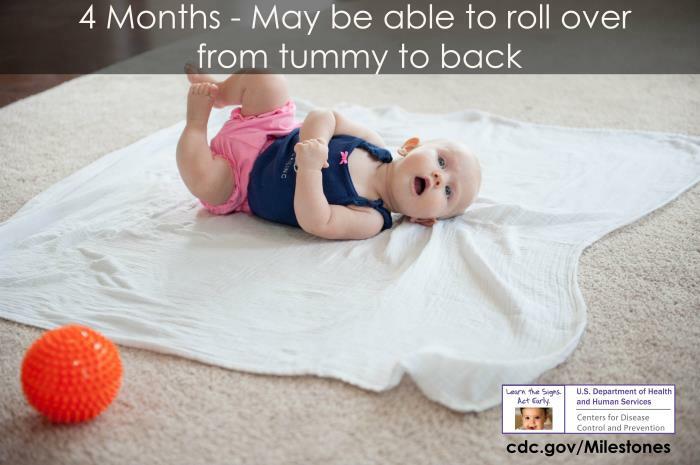 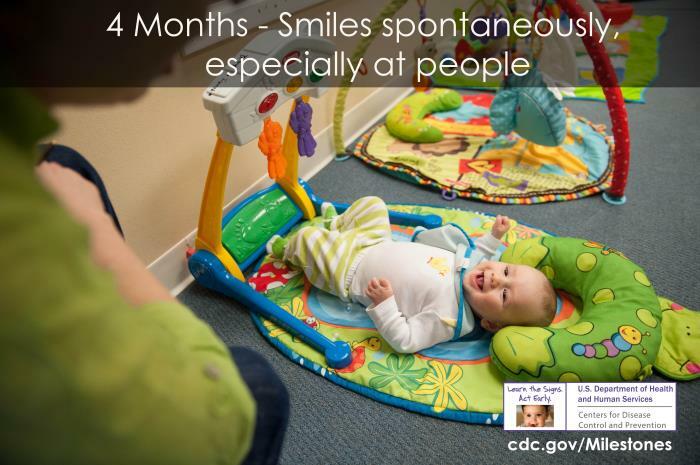 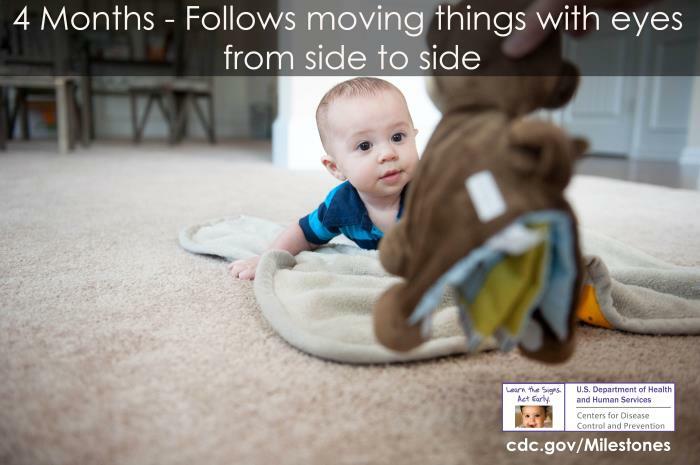 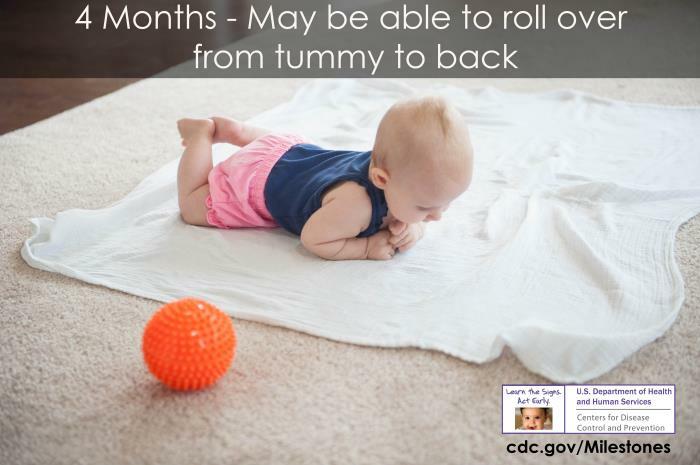 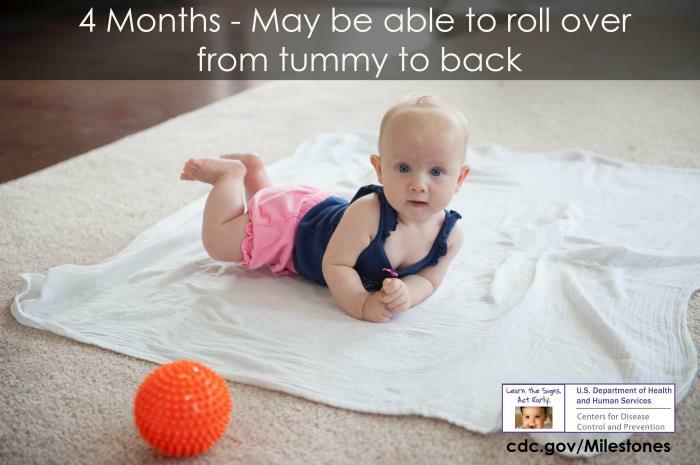 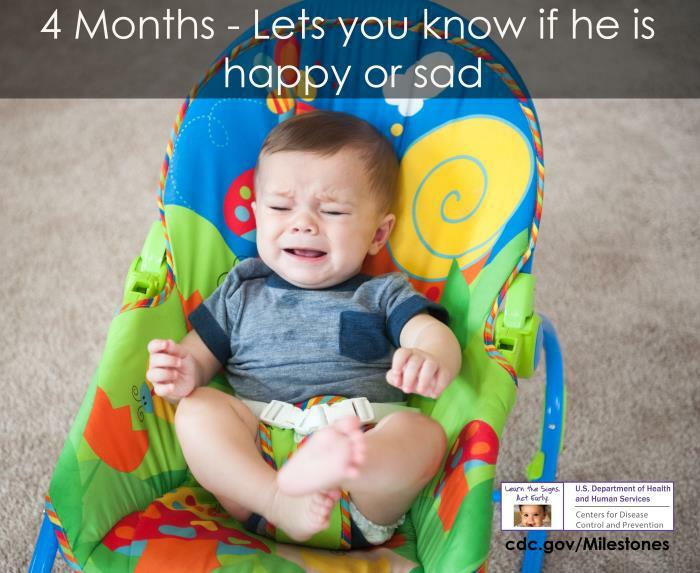 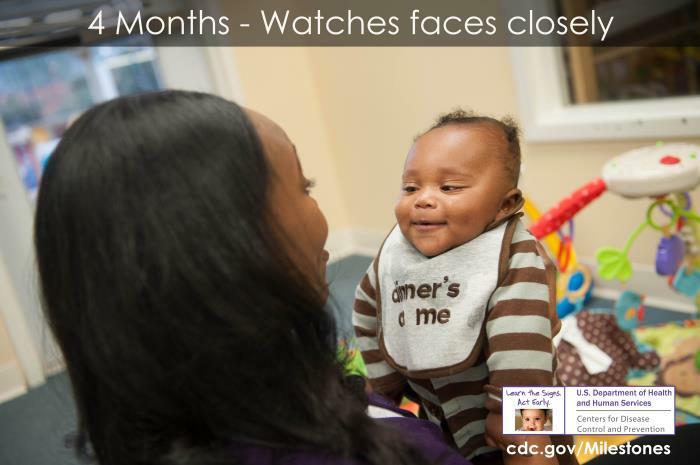 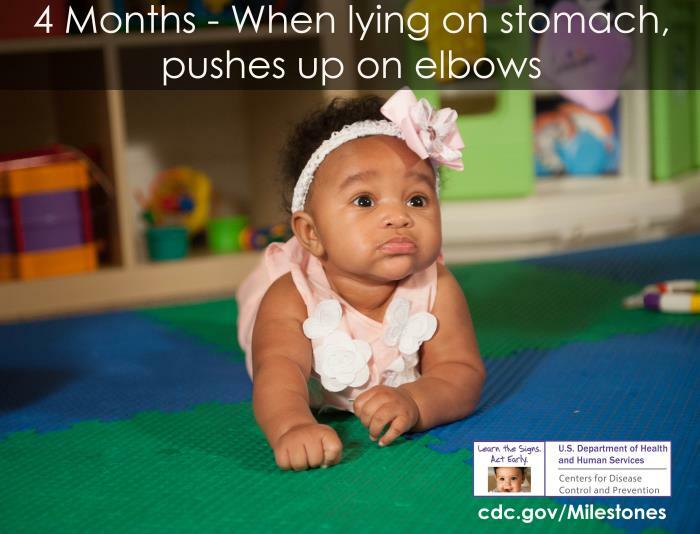 Check the milestones your child has reached by the end of 4 months. 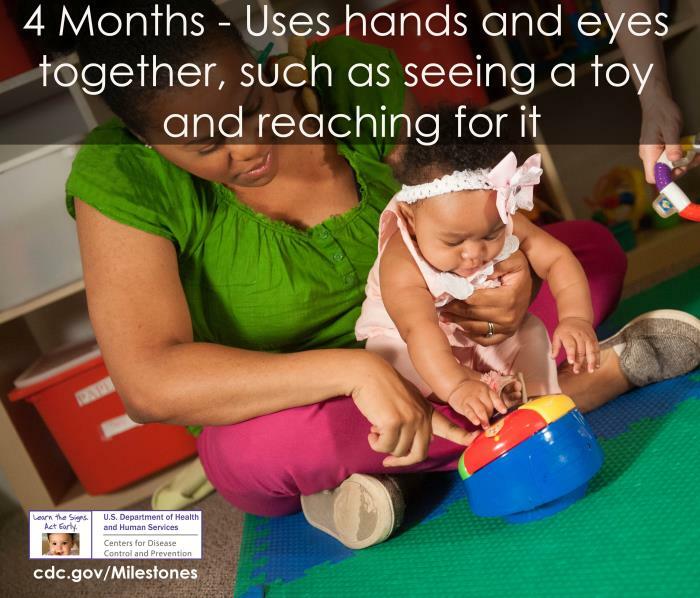 Take this with you and talk with your child’s doctor at every visit about the milestones your child has reached and what to expect next. 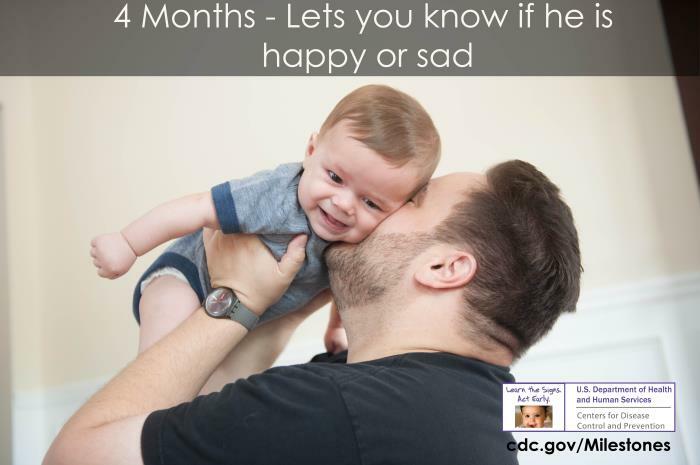 “Learn the signs. 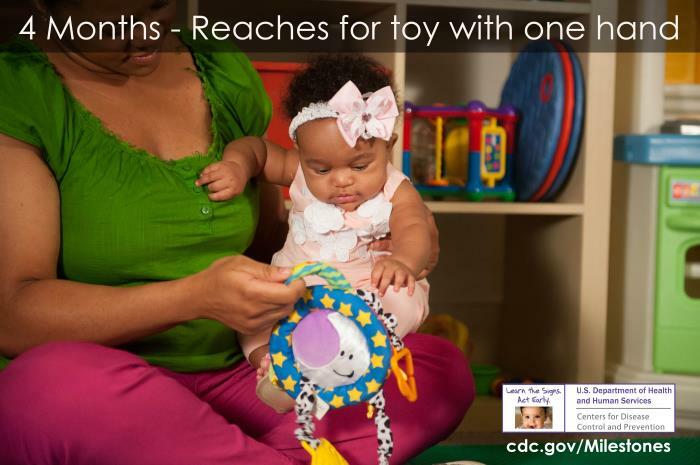 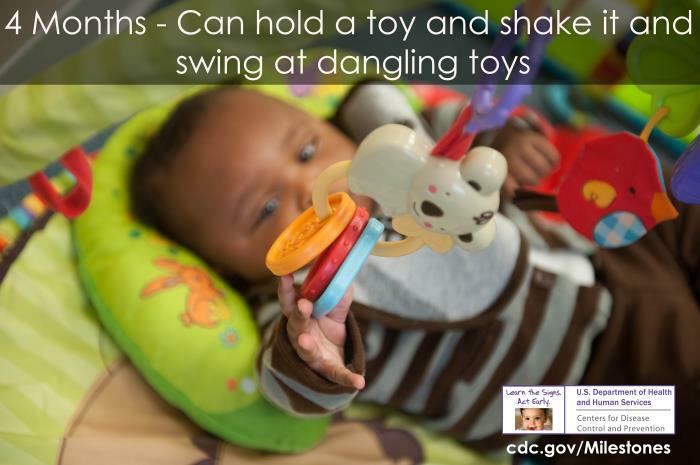 Act early.” materials are not a substitute for standardized, validated developmental screening tools Cdc-pdf[918 KB, 115 Pages, Print Only].